‘The View’ host previously missed a month of the show. 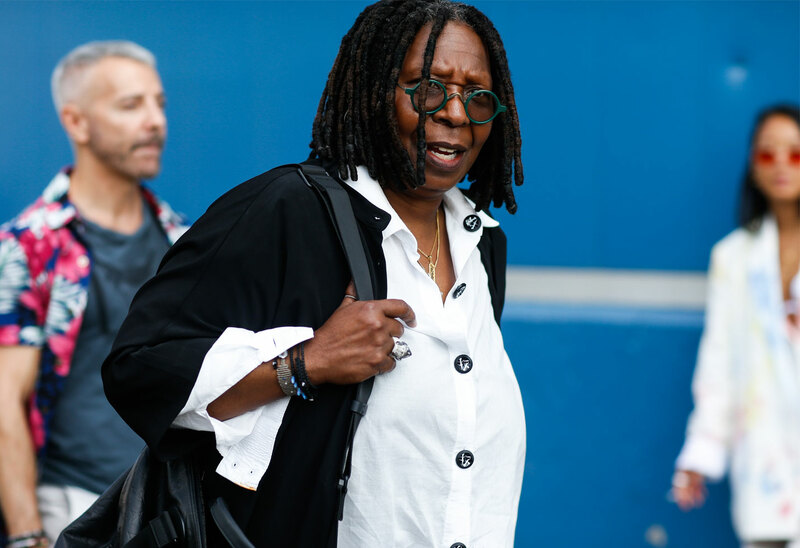 Whoopi Goldberg returned to The View on March 14 after septic pneumonia sent her to the hospital. Now, the comedian has revealed that she was hospitalized a second time last week. Click through the gallery for all the info. Whoopi, 63, had been missing from The View since Thursday, April 4. “I had a 24-hour bug, which landed me back in the hospital last week, which is why I missed y'all on Thursday,” she explained. She urged others to take their health seriously and to make sure they get enough rest to stay strong. Her April 8 return was a dramatic one. Meghan McCain got into a huge fight with Joy Behar that Whoopi had to break up.